The City of Indianapolis celebrates Fashion’s Night Out on September 6. It is very exciting that Indianapolis is participating in this one-night global event. Pattern is presenting events in the Artsgarden of Circle Centre Mall. I am very happy to be hosting the #FNOindy Social Media Lounge. One of the innovative local brands that will be stopping by the lounge is BlumLux. 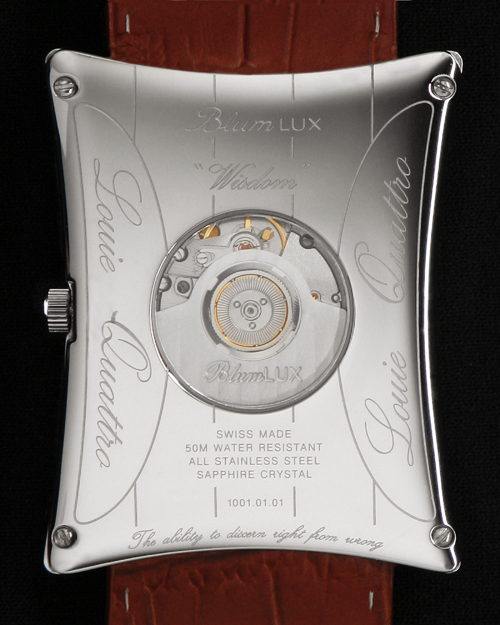 BlumLux is a luxury accessory brand. I recently had the opportunity to talk with Nick Blum, the creative mind and business man behind BlumLux. Pattern: Thanks Nick for taking time to talk about your brand. How did you get into designing accessories? Nick Blum: Well, it all started when I was 15. I would sketch out watches, which are the same designs that I use now. I would cut them out and laminate them, then wear them around. I was obsessed with designing watches at a young age. After a year at Purdue, I made the decision to go to Jewelry School, Gemological Institute of America, and learn how to make jewelry. From there I noticed there was a missing piece in the men’s accessory department. I took full advantage right from the get-go, providing excellent modern designs that men would actually want. Pattern: Let’s talk about your luxury brand of watches. You have unique names for your collections. I noticed two specific collections: Louie Quattro and Prince Quattro. What’s the story behind the names of your collections? Blum: It’s an unheard story, sort of … It all started with Louie Quattro, that’s my alias. My father was Louis Franklin Blum the 3rd. I was supposed to be the 4th. So after he passed in 2006, I said I would name my first watch line in memory of him, but use my alias Louie the 4th. Each watch in the collection represents qualities that I knew in my father: Wisdom, Strength, and Integrity. To me, those qualities were the path to success; to become king, so to speak. So with the “Prince Quattro” line, the morality stays the same. It’s all about what it takes to become King when you’re just the Prince. I think it is important to add a message to better mankind in your work, as long as you have the opportunity to do so. It is a detail that many people don’t even notice, but it goes a long way. The concept makes the watch more than just a fashion piece, but something that can be a part of you. Pattern: What makes the two collections different? Blum: Price and size. The “Louie” collection are much bigger, use an automatic movement, and are more expensive. It is like they were built for a King. 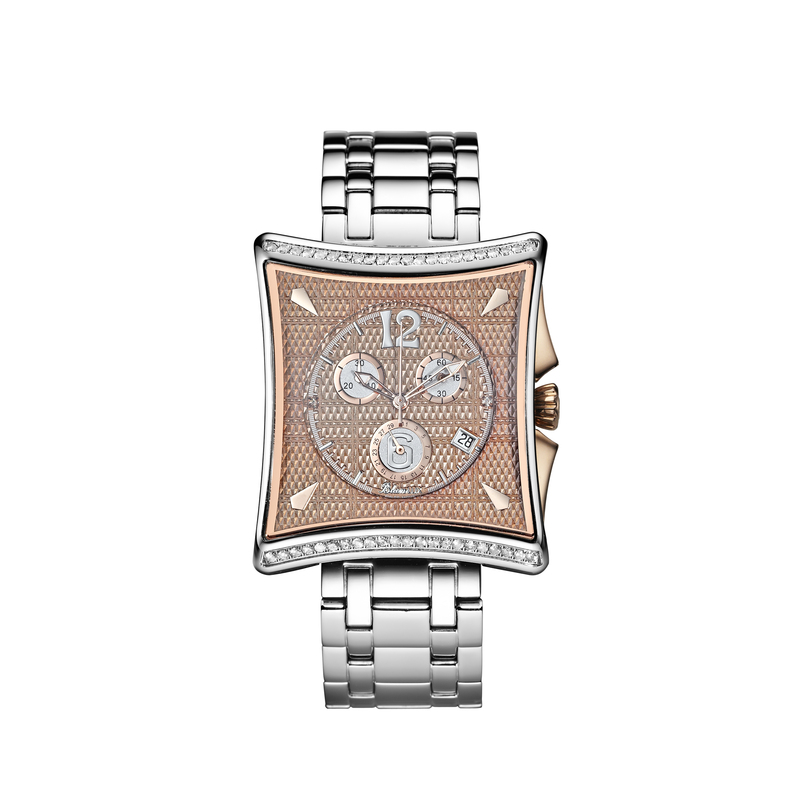 The “Prince” collection are smaller, quartz movement, and much less expensive. Pattern: The first think I noticed about your watches was the unique shape of the watch face. Where did that shape come from? Blum: From my head when I was 15, no joke! It sort of was just stuck in my head. I was drawn to its uniqueness. That’s what made it so fun to design: there was no other watch out there like it. It was a new frontier. Pattern: Your watch faces not only are a unique shape, but also have a sophisticated aesthetic. It isn’t often that you see the option that BlumLux is offering. What do you say to watch collectors, who aren’t used to the BlumLux watch face? Blum: I never really say much. I don’t feel like I need to “sell” my watches to anyone. You either like it or you don’t. I’ve had some big watch collectors that had to have my watches because of the shape, and others because they get the entire vibe it’s setting off. Then you get the guys who have 10 Tags and 10 Rolex’s and they won’t even give us a second look, because it’s not traditional or round face. Pattern: BlumLux was able to get my attention away from the watches by showing the “Chain 30” or the “INFINITY Scroll Pendant“. Both reflecting the same detail from the watch collections. The BlumLux inventory includes: Cuff Links, Earrings, Pendants, Rings, and Tie Bars. Outside of your watches, what piece from your other collections would you tell men they need to include in their wardrobe? Blum: A 9mm ring. Our rings are the perfect accessory outside of our watches. These rings can be used perfectly as wedding bands or just fashion rings. I always wear rings out. I feel naked without them. Pattern: You are a local brand to Indianapolis, how has that been beneficial to building your brand? Blum: It’s benefited in the way of standing out in a city that is not known for housing jewelry & watch designers. Usually, people assume I do this in NY or LA… so being from Indiana and doing my work here in Indy lets me stand out from the crowd. Pattern: Pattern is presenting Indianapolis’ Fashion’s Night Out, to celebrate the local fashion industry. In what ways do you engage with Indianapolis? Blum: Unfortunately, we don’t do a lot of engaging with our city of Indianapolis. Not having a “store front” really prohibits us from doing so. The closest we get to that is with Reis Nichols, who only carries our jewelry line … so get in there and request our watches! We would love to do more events within our city, that is one of our goals. We’re proud that we’re based out of Indy and we want the people to know it. Thanks Nick Blum for the interview. You can check out his products at blumlux.com. He will also be stopping by the #FNOindy Social Media Lounge on 9/6. Make sure you follow @FNOindy and #FNOindy for all the exciting info. Next articleFashion’s Night Out Indy 2012: The lowdown!